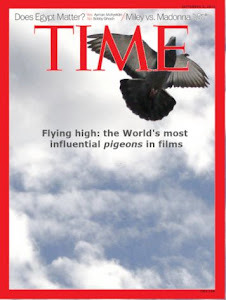 PMDb - The Pigeon Movie Database: Lord of war: the pigeon witness of a dirty secret. Lord of war: the pigeon witness of a dirty secret. Yuri Orlov has a double life: on one hand, Yuri is a successful business man. On the other, he is a arms dealer. Yuri tries to hide his criminal life from his wife who, maybe because she is too naive, or because she doesn't care, is not aware of the ruffian life of her husband. Yuri keeps all his illegal possesions in a secret storage container. In the following pictures we can see the container location. Mr. Yuri approaches his secret place. Inside of it we can appreciate all kinds of artefacts and false documents. It is known that in a marriage, all the secrets are revealed sooner or later. Unfortunately for Yuri, his wife starts to suspect and goes there to discover the container's contents. While Yuri's wife is trying to unlock the container door, we can see a pigeon that stands close to her. This pigeon is a silent witness of this drama and shortly after, leaves the area flying way. The pigeon witnesses the discovering of Yuri's secret. 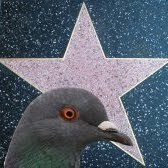 Pigeon activity: It is the typical pigeon that we can find in any city. Symbolism: The pigeon is used to provide a more realistic urban atmosphere. I think that it is not achieved. Instead of this, a flock of active pigeons would provide more realism. Relevance: None. It doesn't alter the movie plot. Training level: It is a non-well trained pigeon. Its performance is very bad because it seems to be very static and tense. Probably it doesn't understand what all these people are doing around and why they are pointing at it with these strange devices and lights. The presence of Bridget Moynahan doesn't contribute to easing the situation. All these facts contribute to unrealistic pigeon behaviour. This is called pigeon overacting. Mr. Andrew Niccol should be more careful the next time he films pigeons.